One area where A Street Frames does brisk business is double-sided frames. 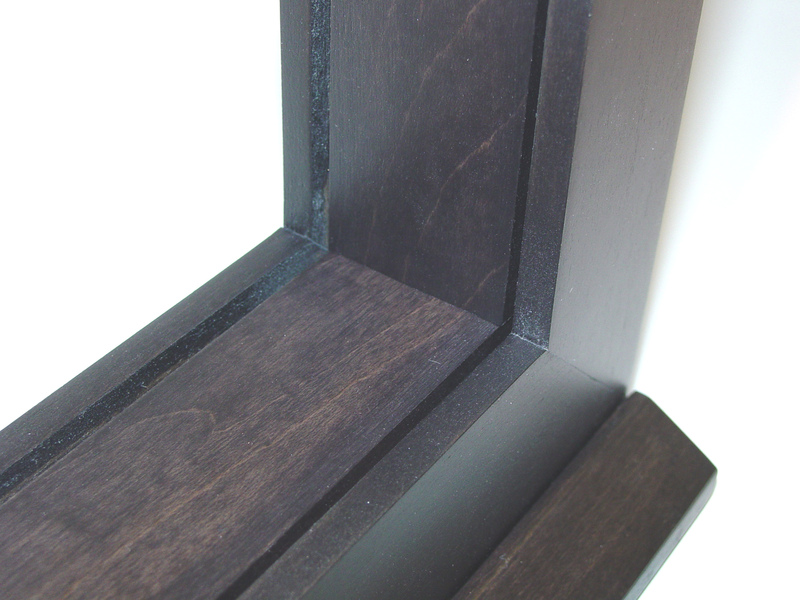 Many customers have work that cries out to be viewed from the front and the back so we have developed moldings and techniques to make that possible. When you think of framed artwork, the first image that comes to mind is probably something straightforward—say, a little watercolor with a nice mat in a charming wooden frame. But after you spend just a little time in this business, you learn that surprisingly few pieces are so simple. 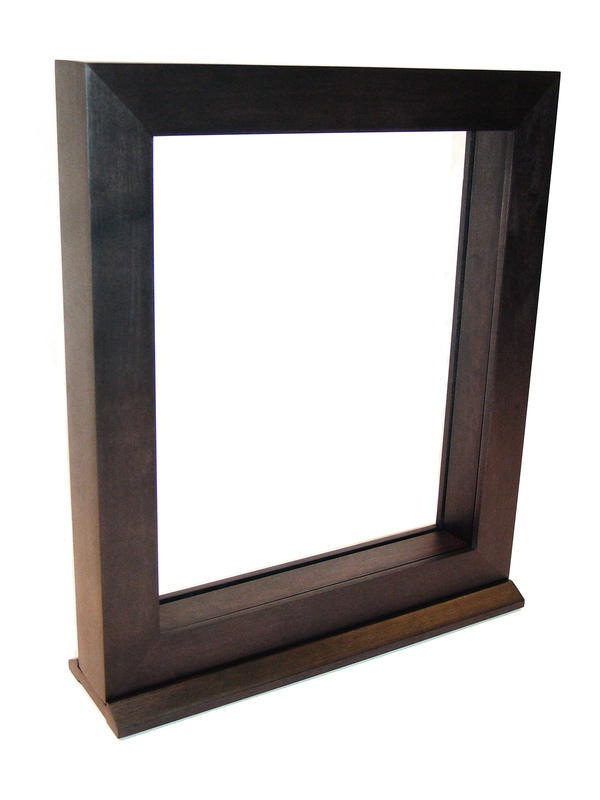 Many shops create double-sided frames by sandwiching stock moldings back-to-back. Since we have extensive experience and the right machinery, we can go much farther to create custom milling for any kind of package, with no seams on the edges and clever hanging systems that facilitate easy access to either side. There’s no “front” or “back” because the piece looks great from both sides. We can do this with almost all of the woods and finishes we offer (that’s around six thousand variations), in dozens of profiles, even steel. 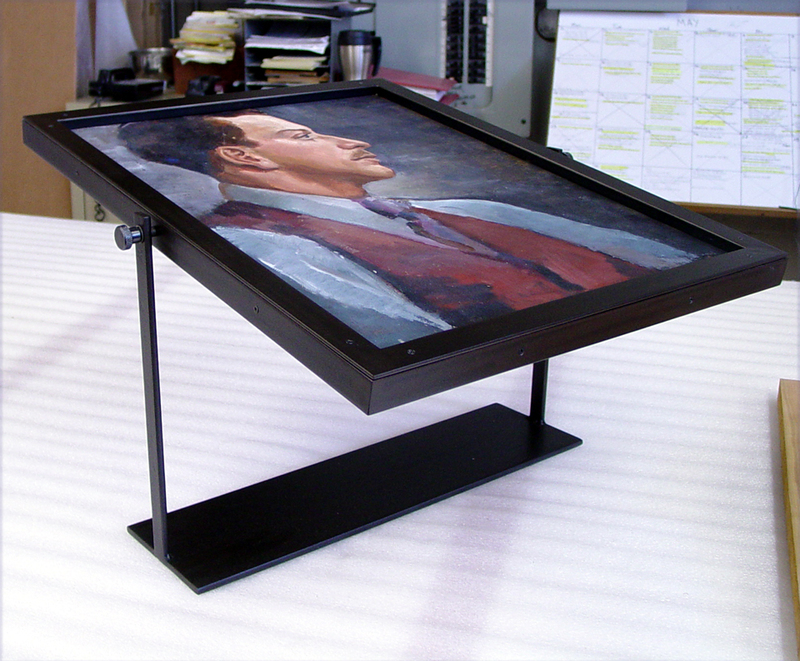 We’ve made double-sided frames as wide as ten feet! Yes we do! Sorry for the late response. Just bring them down to our 4 Clarendon Street location in Boston or our Cambridge location at 755 Concord Ave. Our designers will work with you to find the perfect frame.